Home / abnormal psychology / animal psychology / branches of psychology / developmental psychology / differential psychology / parapsychology / psychology / psychophysiology / social psychology / theoretical psychology / Theoretical Psychology - Know How Many Theoretical Branches are in Psychology? Theoretical Psychology - Know How Many Theoretical Branches are in Psychology? Theoretical psychology relates to the philosophical and theoretical aspects of all of the subdivisions of psychology. It focuses on combining and integrating existing theories and developing non-experimental psychology. The Fields of Theoretical Psychology - Do You Know How Many Theoretical Branches are in Psychology? Psychology is one of the branches of social sciences concerned with conducting scientific and academic studies on the behavior of individuals, mind, way of thinking and personality. It is concerned with the perception and the methods used in thinking. It deals with the study of man in all its dimensions. The term psychology refers to the study of the psyche of the individual and the extent of the impact of activities and the surrounding areas in his daily life. Psychology may deepen to address the problems that individuals face in their daily lives, as well as the treatment of mental illness. In addition to psychology, behavioral science is an investigation of all situations and events that affect behavior, including external events that we can observe directly, and internal situations that we cannot detect with direct observation and puzzling variables that may be, so far, unable to accurately identify them. The central focus of psychology in both the fields of research and psychological application is the behavior and activities of the people. Psychologists also try to investigate animal behavior for what such research can offer from new perspectives of human behavior. 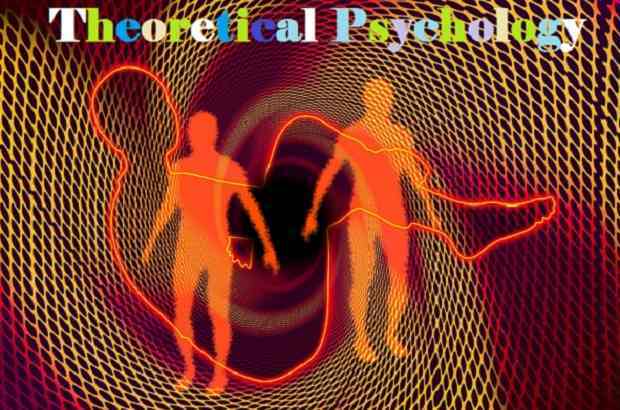 Theoretical psychology relates to the philosophical and theoretical aspects of all of the subdivisions of psychology; social, political, historical, developmental, economic, personality, cognitive, neurological, perceptual, evolutionary, biological, and critical psychology amongst others. Theoretical psychology focuses on combining and integrating existing theories and developing non-experimental psychology. It was in existence before experimental or empirical psychology. It was originated from the philosophy of science, logic, and rationality that were the basis of every new idea. Now, theoretical psychology has become an interdisciplinary field with a broad scope of the study, in which psychologists are specializing in different types of psychological branches. It is no accident that year 1879, the year of the establishment of the experimental laboratory was the stage of the dissemination of ideas, and dozens of laboratories emerged in many countries of the developed world. There were many scientific and industrial developments in the world at that time. The scientists and those interested in the industry and educators themselves have faced the need to care for the human being and to reveal his abilities and preparations and to identify the laws of his psychological development in order to improve the aspects that ensure the necessary adaptation to his activity and thus increase the profitability of this activity in favor of capital. The experimental method and the necessary devices and techniques, and the method of scientific observation and statistical means and mathematics were the way scientists and researchers benefited from them in the fields of medicine, physiology, natural sciences, social and others to obtain data and information on the subject of study, analysis, and interpretation. Early pioneers of psychology have benefited from all this. General psychology deals with the study of the general principles of human behavior as a whole, influencing all the surrounding natural and cultural stimuli, as well as trying to reach the general psychological foundations of human behavior that generally, apply to all individuals. The subject of general psychology is human: conscious, thinking, remembering, imaginative and passive. The general psychology is the main source of specialization in the field of psychology. Therefore, every human being who wishes to study psychology must start with the study of general psychology before studying the other branches which are considered more advanced and specialized than general psychology. From the above it is clear that general psychology studies the general laws of psychology, before studying the sense, perception, attention, remembering, imagining and thinking, in pure scientific theory without belonging to any particular individual or group, without looking into the applications of these laws in the lives of people. General psychology examines, for example, the general principles of learning that apply to all cases of anthropology, regardless of the particular subject that a person learns. The application of these principles in special fields, such as education in the school - the factory - the army, is out of the jurisdiction of general psychology. Psychophysiology (Physiological psychology) studies subjects related to organ functions, especially those that affect human behavior, such as the nervous system, its structure, and the functions it performs. It is the organ that connects humans to the outside world. Therefore, Psychophysiology deals with the nervous system, sensory organs, and endocrine systems and its relation to our life ideas. For example, it attempts to determine how sensation occurs, how the nerve current moves in the neurons, and how the brain controls feeling and behavior. Psychophysiology studies the various functions of endocrine glands, and how they affect behavior. It also examines the physiological basis of motivation, how we feel hunger, thirst, sexual desire, and other physiological motives. The physiological psychology also includes the identification of the different centers of the brain and the competencies of each center, including auditory and visual perception, and those that are specialized in speech, as well as emotions, stimuli, and physiological and biological manifestations. Psychologists study the behavior of the animal because it is easy to conduct practical experiments on the animal, while in some cases it is difficult or impossible to conduct such experiments on humans. For example, it is easy to remove a part of the animal's brain to see how it affects animal behavior, while it is impossible to conduct such an experiment on humans. Through these experiments, psychologists have been able to identify brain functions, assign special centers for sensory and motor functions, and animal experiments have also helped to study genetics and to learn about the relationship of hormones to behavior. Social psychology is a science that conducts the scientific study of the behavior of the living organism in a society with its peers interacting with them and affecting them and influencing them - that is affected by their behavior and affects their behavior. Social psychology is concerned with the study of man in the context of society. The behavior of individuals is always influenced by the social environment that surrounds them, and man by virtue of the nature of his composition is originally a social individual, since he is born dependent on his living and managing his affairs on others. The people around the person act as triggers for his responses, and he is also the object and focus of the responses. The manner in which he deals with them determines the quality of his behavior and actions and determines the nature and quality of his feelings. It also examines the leadership behavior of man, compares it with the behavior of the president, as well as studying social deviations and diseases, as well as studying the psychology of the masses, public opinion, and propaganda. Developmental psychology is concerned with the study of different stages of growth during pregnancy, birth, the period of breastfeeding, weaning, early childhood, middle, late, puberty, adolescence, youth, masculinity and old age, and the characteristics of each age and developmental aspects of the physical, motor, sensory, mental, psychological, emotional and social aspects. Some are called developmental psychology, formative psychology, which is the science that studies the development of psychological processes or their growth in successive stages of life, using the formative way. The growth psychology is concerned not only with the growth of muscles, in terms of muscle growth, elongation, body length, weight gain, but also the attendant growth, physiological growth, growth in mental processes, growth in sensation, perception, emotion, etc. Differential psychology is also known as the psychology of individual differences; this science aims to study the individual and collective differences of human characteristics, the reasons and the differences between people in intelligence, personality, preparations, and special talents and others. It is noted that general psychology reveals to us the facts that show how individuals are similar, while psychology reveals to us the difference as to how individuals differ and to what extent they differ. Differential psychology is closely related to empirical psychology on the one hand, and anthropological studies on the other, in addition to biology, anatomy and physiology for humans and animals. Abnormal Psychology is the science that studies unusual or non-normal cases, including the disabled, gifted, retarded, visually blind, deaf and dumb. In fact, the specialists find it difficult, and in ancient times it was a great get rid of them. Those who have a handicapped child go out to the open and throw it there because it would cause a great burden. But after science has diversified in our modern age, it has begun to focus on them and give them all the rights in society, just like ordinary human beings. Parapsychology is the study of psychic and paranormal phenomena, including precognition, telepathy, psychokinesis, clairvoyance, near-death experiences, reincarnation, synchronicity, apparitional experiences, and other paranormal claims. Parapsychology is considered to be pseudoscience by a vast majority of mainstream scientists. The mind can connect to another mind without physical means - telepathy. The mind can connect to other assets or creatures that it senses without moderation. The mind can transcend the vast distances. Man can influence the movement of animals. Man and the universe around him are mysteries that require humility and scientific enthusiasm to reveal the unknown and believe in the greatness of the Creator. Some scholars point out that paranormal psychology will be the closest science to religious thought; it will be compatible with religion and go hand in hand with one another.